You are a FAST reader!! I'm impressed! I am!?! I've never thought of myself as a fast reader! 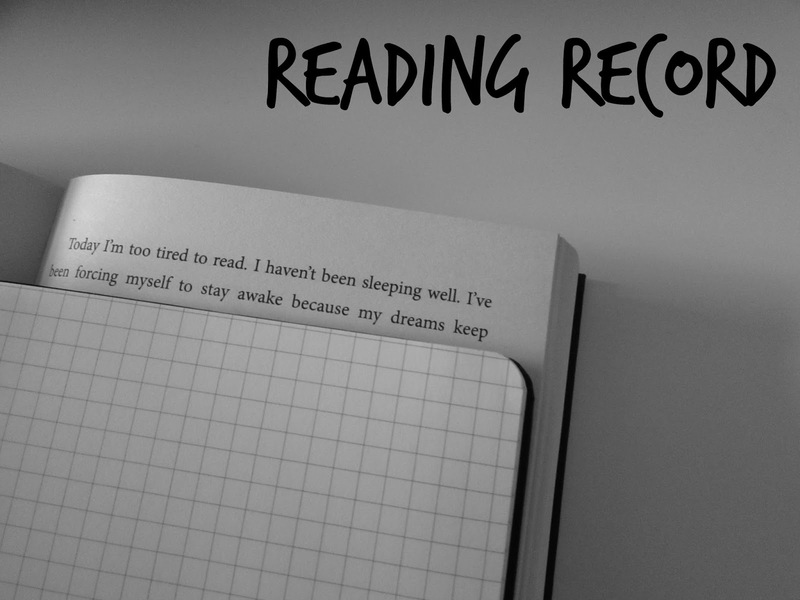 Keeping a reading record has been really interesting... I'm thinking of making it a permanent thing. I had no idea I was a quick reader! I'm impressed how you can bounce around between books. Two is my max and I'm not crazy about that! Haha - it is actually an ability I wish I didn't possess! Also, it depends on the titles themselves. I find it easy reading another title alongside a reread as I'm familiar with one book, however if it was two new to me fiction books at the same time it wouldn't necessarily be so easy.